c. When the component is created, the pin direction is reversed and must be connected to the non-pin name. (2) The component is designed outside the drawing boundary: no component is created in the center of the component library chart. (3) The created project file network table can only be partially transferred to pcb: when the netlist is generated, it is not selected as global. (4) Never use annotate when using a multi-part component created by yourself. c. The components in the schematic use a package that is inconsistent with the pin number in the pcb library. For example, the triode: the pin number in sch is e, b, c, but the pcb is 1, 2, 3.
b. 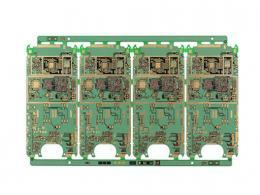 The component are moved and rotated multiple times, there are hidden characters outside the pcb boundary. Select to display all hidden characters, reduce the pcb view, and then move the characters into the boundary. It indicates that the network is not connected. Look at the report file and use the CONNECTED COPPER command to find the reasons. 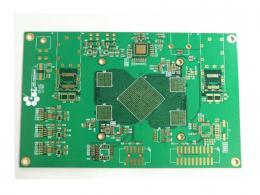 In the PCB design, layout is an important step to complete the product design. It can be said that the previous preparation work is done for it. The layout has high technical content and large workload, and should avoid errors or unreasonable design. 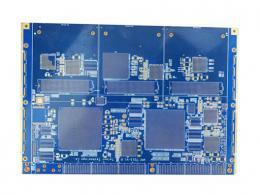 It includes layout for single-sided PCBs, double-sided PCBs, and multilayer PCBs. There are also two ways to layout: automatic wiring and interactive wiring. Before automatic wiring, you can use interactive pre-wired lines with strict requirements. The edges of the input and output should avoid adjacent parallel to avoid reflection interference. When necessary, copper should be added to isolate the traces. The wiring of two adjacent layers should be perpendicular to each other, and parasitic coupling is easy to occur in parallel. Even if the wiring in the entire PCB is completed very well, the interference caused by the inconsistency of the power wire and the ground wire may degrade the performance of the product, and sometimes even affect the success rate of the product. Therefore, it should be taken seriously, and the noise interference generated by the power wire and the ground wire should be minimized to ensure the quality of the product. So how to reduce and suppress the noise between the power wire and the ground wire? a. It is well known to add a decoupling capacitor between the power wire and ground wire. b. Try to widen the powerwire and ground wire width. It is better to make the ground wire wider than the power line and designed as ground wire > power wire > signal wire. Usually the signal wire width is 0.2~0.3mm, and the thinnest wire width can reach 0.05. 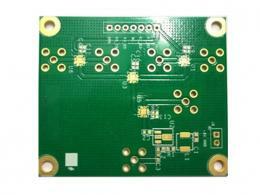 ~0.07mm, generally the power wire width is 1.2~2.5mm. c. For the PCB of the digital circuit, a wide ground wire can be used to form a loop, which is used to form a ground net (the ground of the analog circuit cannot be used in this way), and a large-area copper layer is used for the ground wire. Or it can be made as a multi-layer PCB, the power supply is a separate layer, and the ground wire is another separate layer. Many PCBs are no longer single-function circuits such as digital circuits or analog circuits, but are composed of a mixture of digital and analog circuits. Therefore, it is necessary to consider the interference between them when wiring, especially for the noise interference on the ground wire. 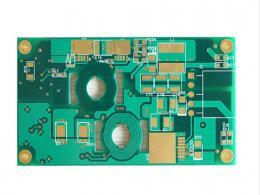 The frequency of the digital circuit is high, and the sensitivity of the analog circuit is strong. For the signal line, the high-frequency signal line is as far as possible away from the sensitive analog circuit device. 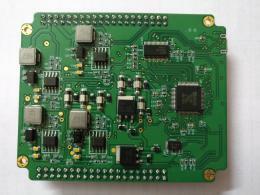 For the ground line, the entire PCB has only one connection point to the outside, therefore, it is necessary to deal with the problem that the digital circuits and the analog circuits are share the ground wire inside the PCB, and the internal digital ground and the analog ground are actually separated, and they are not connected to each other, but only at the interface where the PCB is connected to the outside such as a plug, the digital ground wire and the analog ground wire are a little shorted. 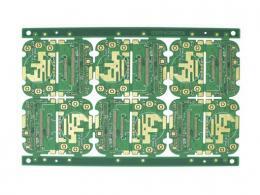 In the case of multi-layer PCB layout, since there is still a small part of the signal lines that can not be placed in the signal line layer, It will cause waste if add a separate layer for them , then increase the workload for production, and the cost will increase accordingly. In order to solve this problem, you can consider to place these signal wires on the ground layer or power layer. We should consider placing the signal wires on the power layer firstly, and then the ground layer, because it is best to preserve the integrity of the ground layer. The thermal pads designed on the copper surface can prevent the problem of poor welding cause by the excessive heat dissipation when soldering. 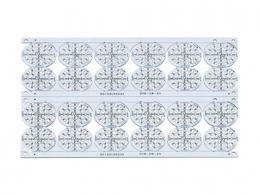 The distance between the legs of the standard components is 0.1 inches (2.54mm), so the grid size is generally set to 0.1 inches (2.54 mm) or less than 0.1 inches of multiples, such as: 0.05 inches, 0.025 inches, 0.02 Inches, etc. The distance between Line to line, line to pad, line to hole, pad to hole, hole and hole, whether they meets the production requirements of the factory.